THE PENNY MAGAZINE, London, Nov. 30, 1833 A quarto-size publication, the ftpg. has a halfpg. 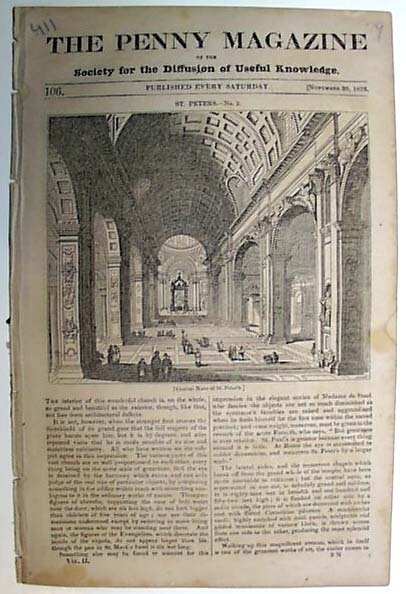 illustration: "Central Nave of St. Peter's" in Rome. Small stain in the outer margin, o/w good.